Dr. Fuzhong Weng received his PhD degree in 1992 from Department of Atmospheric Science, Colorado State University (CSU), Fort Collins, Colorado, USA. He joined NOAA in 1998 as a physical scientist and then managed the US Joint Center for Satellite Data Assimilation Program (JCSDA) from 2002-2005. He served as the chief of sensor physics branch at NOAA/NESDIS from 2005-2010. From 2011 to 2017, Dr. Weng was appointed as the chief of Satellite Meteorology and Climatology of NOAA/NESDIS/Center for Satellite Applications and Research, JCSDA Senior Scientist and Joint Polar Satellite System (JPSS) Sensor Science Chair. 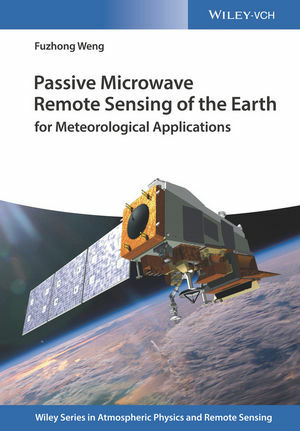 He won a number of awards including the first winner of the 2000 NOAA David Johnson Award for his outstanding contributions to satellite microwave remote sensing fields and the utilization of satellite data in the NWP models, US Department of Commerce Gold Medal Award in 2005 for his achievement in satellite data assimilation, NOAA bronze medal for leading successful NOAA-18 instrument calibration, and NOAA Administrator's Award for developing new and powerful radiative transfer models to assimilate advanced satellite data in 2009 and NOAA Administrator's Award for leadership in developing a state-of-the art satellite instrument health monitoring system enabling corrective actions to extend instrument life. He published over 160 papers in US and other international journals.